A couple of amazing things happened to me over the past weeks. First, under pressure from a well-meaning sibling and my daughter, who both insisted that I MUST open a Facebook account or be forever excluded from all communication with them, I started a #%!!#! account. 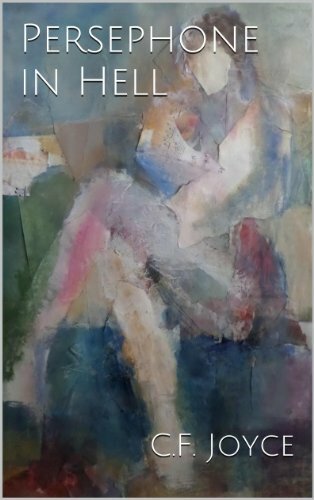 I struggled my way through the setup, which included having to delete several mistakes (you don’t want to know how many) then added a fan page for my book, PERSEPHONE IN HELL. You can find a link to my Facebook page on this site – please take a look at it, it was so much work – I’m begging you! Several hundred grey hairs later, I now have three email accounts, a Facebook page, a Twitter account, and this blog. Plus a smartphone that bleeps and buzzes and texts me all day long. I now have to bring my cell into the can with me so I won’t miss the latest blinking green light that indicates an important contact is attempting to be made. Did I forget anything? Today a so-called friend told me that I should set up an Instagram account too. I officially have no time for any other occupation or avocation, such is my preoccupation with this social media world. But on to the good news. I’ve been discovered! No, not by Houghton Mifflin or Harper Collins or a Hollywood agent. Discovered by an entity far more significant than a mere publisher or movie producer. I’ve been discovered by my high school class reunion committee! They found me on Facebook. And here, I’d successfully hidden from them for all these many (too many to count or admit to) years. Somehow, they hunted me down. They found me out. They called my name and surprise (this is the other amazing thing), I am pleased. Every emotion in the world has run through me since a nice woman named Alice found me out. I am humbled and shocked by the attention they’ve shown me. I’m amazed they remember me, that some think fondly of me; that some even like me. Who knew? I didn’t. I spent many years being scared of my past. I blocked out as much as I could until the emotions of my teenage years came screaming back in my writing. That’s what I did. I let enough time pass from my troubled youth for my scars to fade. They have lightened, so much so that when I got the call from that nice woman named Alice, I could answer with a hesitant but happy heart. With many thanks to my old chums.